Dr. Robert Silverman specializes in the biomechanics of the body, balancing the musculoskeletal system through the integration of functional neurological training and chiropractic treatments. Dr. Robert Silverman is an avid CrossFitter and treats a big community of CrossFitters in the Northeast region. He understands how to optimize his/her performance through chiropractic treatments, and the role that nutrition and supplementation play in helping a CrossFitter perform their best. This includes having an understanding of what the injuries entail as well. Dr. Silverman is a RockTape provider – it’s an elastic endurance tape designed for competition. "CrossFit is a strength and conditioning program built on constantly varied, if not randomized, functional movements executed at high intensity." Not only has Dr. Rob continually helped me to resolve nagging injuries related to my intense training, he has provided a breadth of information on supplements and nutrition, which has me competing at my highest level ever. CrossFit is a lot of things and not just one thing. It’s a fitness regimen developed by Coach Greg Glassman over several decades, where fitness is defined in a meaningful, measureable way (increased work capacity across broad time and modal domains). All of CrossFit’s workouts are based on functional movements and each work out (called WOD – workout of the day) varies. 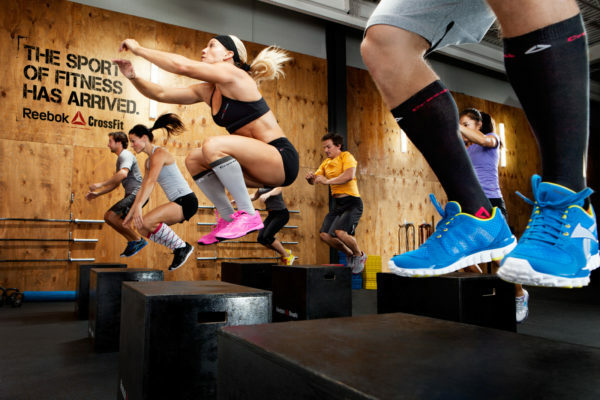 CrossFit optimizes fitness (constantly varied functional movements performed at relatively high intensity); it is also the community that spontaneously arises when people do these workouts together. CrossFit is not easy and it’s not simple. Movement – how to move safely and effectively. Fitness – what it means to be fit: its definition, the supporting theories, and how to go about attaining it in real life. Nutrition – eat a healthy diet to ensure sufficient nutrition that includes meat and vegetables, nuts and seeds, some fruit, little starch, and no sugar. Keep consumption to levels that will support exercise, but not body fat. Dr. Robert G. Silverman New York ChiroCare, PC. Cash, most major credit and debit cards. We love to engage with and get feedback from our clients via social networks. We have active accounts on Facebook, Twitter, LinkedIn and Instagram, so be sure to look us up.